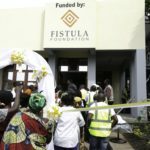 Last year we asked for a dedicated fistula wing from the Fistula Foundation. They gave. 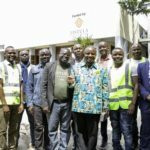 A local Congolese architect and builder were hired to design, with Bizi, one of HEAL Africa’s biomedical engineers, taking the role of project manager. We spent 2017/2018 designing and building. There was a lot of anticipation this week, leading to the launch. The event was heavily attended, drawing attention from other patients and visitors. Some of the board members and prominent local community leaders, including staff from all departments at HEAL Africa were present. 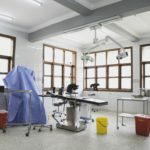 So why do we need a new fistula wing? 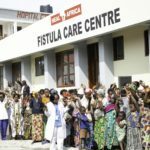 Wait, what is fistula? Here’s the short of the long version. Let’s address the second question first. A fistula is a hole caused by injury, connecting two or more organs. 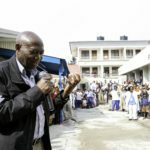 What we’re talking about here, specifically, is obstetric fistula, a hole or tear between a woman’s vaginal canal to another organ. 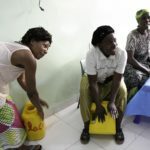 When labor is obstructed and without access to appropriate care, a woman may develop fistula, leading to incontinence. 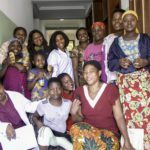 Obstetric fistula is a common condition of the poor, who lack medical expertise, physical and financial, access to maternal care. If you have never heard of it, don’t worry. Fistulas were actually pretty common up until the turn of the 20th century. But better access to quality healthcare changed all of that for wealthier regions like North America and Europe. Back to the first question. 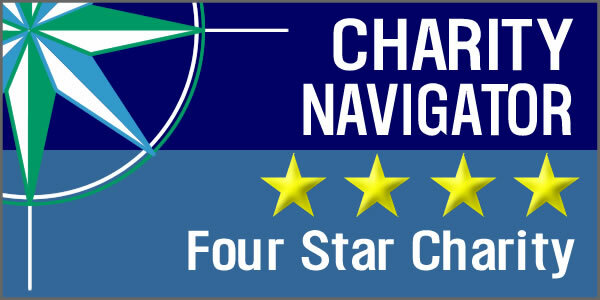 We needed to improve our service delivery, logistically and culturally. Our fistula ward only had 15 beds and it became too common for patients to be sharing a bed; sometimes patients had to wait weeks to months before they could be treated. In the same recovery room, medical staff squeezed a desk near patients, to work. The majority of the women we treat live in absolute poverty. In addition to the incontinence, a woman who suffers from fistula experiences shame, social isolation, and other health issues. With their own designated space, women no longer have to wait to heal to receive dignity. We want the whole process, from the beginning to end, to be dignifying. We actually have a proper reception area where we can register patients! 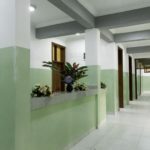 Doctor’s changing toom with two toilets and 2 bath rooms. Nurses’ changing rooms with one toilet and one bathroom. From 15 beds, we now have 18 with additional space to add more beds as soon as we can purchase additional beds. Board member, David Kasali opened the event with prayer and thanksgiving. 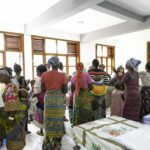 Nurser Rita, head nurse at Fistula Care Centre, stands with some of the patients to receive the blessing of the building. 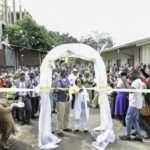 Fistula nurse, Rita, CEO and fistula surgeon, Dr. Justin (covered to the left), and board member, Francis, cut the ribbon. 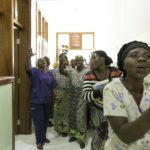 Entering the fistula ward for a tour. Patients and their children dancing in the recovery room. Some picked up the water jugs to beat, accompanying the singing and dancing. Some of the women wanted their photo taken…medical staff joined in the series of photos. Here’s a picture of the critical crew on the ground, who made it happen.